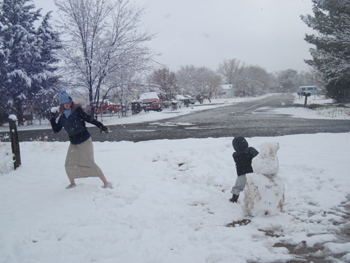 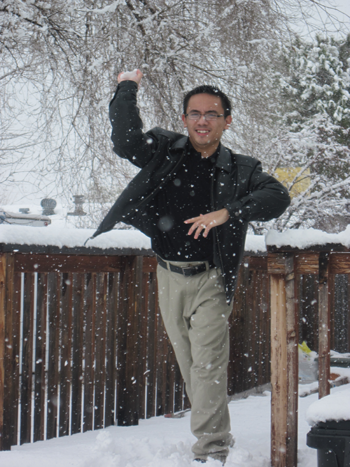 The Borja Family: Snow Fight!!! 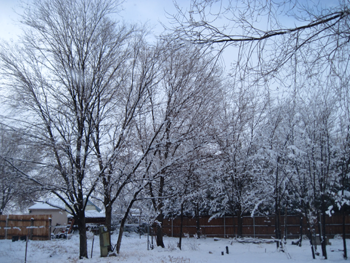 As I said in the previous post, it is 2 o'clock in the afternoon and it has been snowing since supper time yesterday. 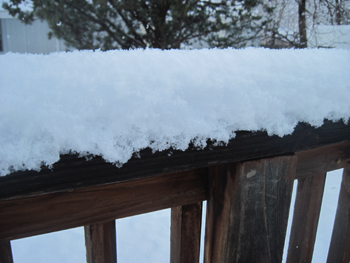 The snow is actually thicker now than it was in the pictures. 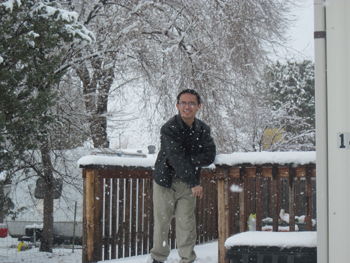 This is the first time I went out to play in the snow while it was still coming down. I told Matt that "it's like living inside a snow globe!" 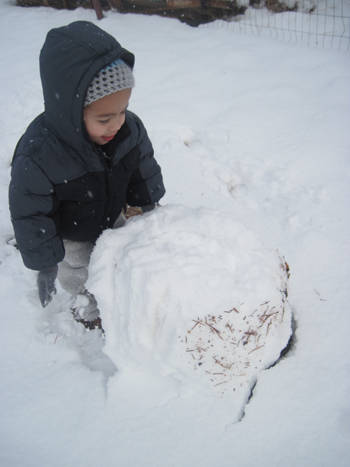 and he just looked at me and said, "I guess, if it makes you happy"...he's so funny sometimes. 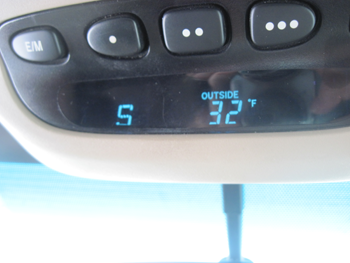 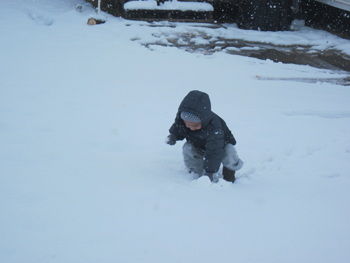 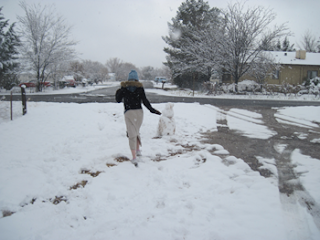 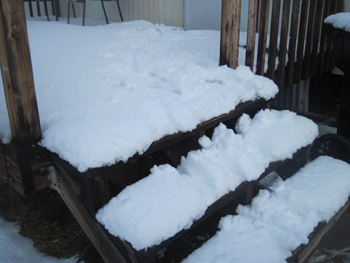 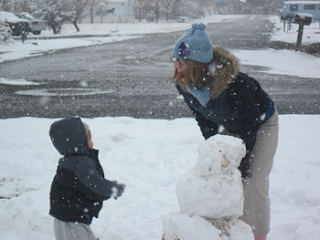 Here are some pictures of all the fun we had in the snow. 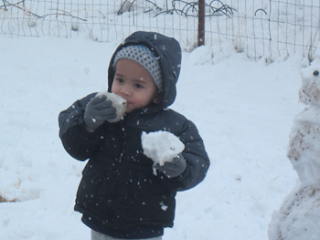 In case you can't tell, all Timothy really cared about was eating the snow. 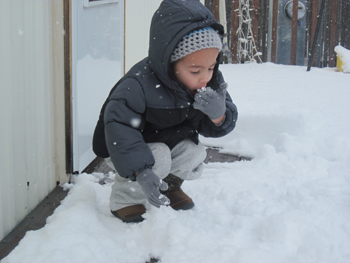 Even while rolling a snowman he kept stopping to lick his gloves! 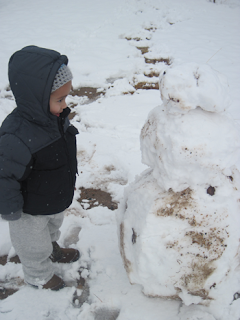 Here is the my-size-snowman I rolled with Timothy. 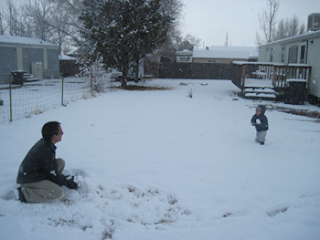 After a few minutes Daddy came to brave the cold with us and started a snow ball fight. 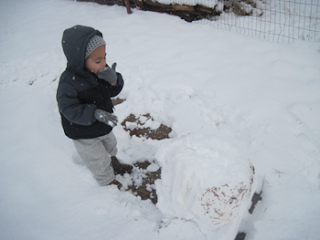 Matt made it his goal to try and knock the snowball out of Timmy's hand so he would stop eating and have some fun. He just kept eating and then when he got hit with a snowball he would hollar and then pick up another one to eat! After a few snow bombs he decided to drop the dessert and defend his honour. It was so fun to watch him.